Blockchain meets MaaS: what's next? It's the latest tech hype, and it's coming to mobility: decentralised applications built on blockchain have the potential to profoundly disrupt an industry - transport and mobility - that is already being hit by a "digital tsunami", as Sampo Hietanen, MaaS Global CEO, often pitches in his conferences. In cities, consumer habits are more and more shifting from ownership (of a car) to access (to MaaS), enabling new business models and revenue streams, shaping a burgeoning and extremely dynamic mobility ecosystem where traditional players "“ notably automotive OEMs and public transport operators "“ are prompted to compete, and sometimes forced to cooperate, with new entrants that have a fresh and creative approach to providing mobility services. A key enabler for it all is technology, which is the basis for this complex mobility ecosystem to function, where very different stakeholders need to launch transactions between each other (for booking, invoicing, payment, etc. ), interact with the traveller, acquire and exchange operational data, and process it into information that is used to fuel and launch related business processes, in a continuous improvement process. It started with "conventional" information and communication technologies - the Internet, in plain words - and it does certainly work well when all participants in the value chain are in the same boat, and have the same understanding of what needs to be delivered. However, as the participants in the game push the boundaries of what is feasible (and, as an inevitable consequence, the contractual terms between the parties become a hell of endless terms and conditions with countless implications), when having a trusted and secure environment enabling business processes and handling of (personal, business-critical) data is not guaranteed, when interaction with old legacy, locked-in, vendor-specific systems implies non-transparent workflows (to say the least), when some participants hold an abusive control over the provision of (parts of) the (mobility) service, then I tend to think the "old" Internet might not be sufficient to enable MaaS in some cases, or put differently, one needs an additional layer that grants trust (for example for enabling secure digital payments and identity management), adds transparency (while eliminates unnecessary business processes and intermediaries), and eases the contractual side of the service provision. MaaS pursues the vision of providing seamless urban mobility services replacing the "need" to own a car. As not yet a single Mobility Service Provider (MSP) can fulfil this service promise, one needs to identify the available supply of transport services and combine them in the most efficient way, so that solving the mobility puzzle in the city "“ that is, which transport means are available and where, how to book them, how to access them, how to pay for them, how to plan my trips - becomes a piece of cake (from the user perspective, of course, the required processes to run in the background are complex). The challenge is huge for the MaaS operator, with a transportation ecosystem that is extremely fragmented, with stakeholders sadly keeping "their" data "safe" (safe from who, safe from what?) in data silos, with an extremely regulated environment, and new entrants defying the statu quo. Therefore, implementing MaaS requires not only "plain" software connecting legacy systems from MSPs, processing available sets of data, implementing business processes, and interfacing with the user, but the "glue" that puts the pieces together in a meaningful way, making the whole system work in harmony, creating the much needed trust among the participants. This smart "glue" is a unique combination of well-written, tamper-proof, scalable, standards-compliant software, but also a set of common rules for all stakeholders to comply with, so that no single stakeholder can impose its own rules or prejudices (for example, to artificially favour public transport as the preferential mobility option, hindering fair competition with other mobility options), with the ultimate goal to benefit the end user, in a truly user-centric approach. The transportation ecosystem is also crowded, with many stakeholders participating, besides the MSPs (software vendors "“ too often deploying locked-in or rather proprietary solutions; financial entities "“ that control the flow of money; insurance companies "“ that have little idea who is to be made liable under unprecedented scenarios; policy makers, urban planners, etc.). Having so many players adds one more level of complexity, hindering innovation and getting things done. Luckily, blockchain technology offers the intriguing possibility of eliminating unnecessary intermediaries (typical example is financial entities: could we skip them by enabling transparent, secure, commission-free bitcoin transactions for all payments involved in the mobility service provision?). Blockchain does this by filling three important roles: recording transactions, establishing identity and establishing "smart contracts". So we're heading towards a not so distant future with less intermediaries (well, this is more of a wish than a consolidated trend to skip those stakeholders that add little or no value at all to the effective provision of MaaS...), and definitely less human intervention, with a smarter transport system that is increasingly M2M-connected (some call this "Internet of Mobility"), with technologies such as autonomous driving, wireless EV-charging, electronic toll collection systems, and many more. Needless to say, blockchain is there to provide the required technological backbone supporting this "less is more" paradigm. 1. (Mobility) Data sharing. Data is today's currency. Many analysts and leaders of the automotive industry predict that data generated by cars will soon be more valuable than the car itself. The challenge is in harnessing that data, monetizing it in a way that the car is no more a depreciating asset, but a steady generator of value. A related remarkable project is making it to the headlines, lately: DOVU, interestingly a Jaguar-backed blockchain startup, has developed an Ethereum-powered secure marketplace that will let users offset mobility costs in exchange of their transport data. The company will reward users willing to share their data with tokens that could then be used to purchase mobility services, such as public transport. Sign of the times, and certainly a best practice, being upfront and transparent about data use, giving customers both opt-in and incentives for sharing data, instead of simply taking data without even asking. Eventually, blockchain-powered data exchange platforms could as well handle massive amounts of data pooled from autonomous cars (with lidars, radars, cameras and other sensors constantly streaming data to various blockchains). The development of safe and reliable autonomous vehicles requires a huge amount of driving data, and such a data marketplace could surely help, shortening development and testing times, and bringing autonomous vehicles, and all the expected related benefits of this technology (safety, efficiency, convenience), closer to becoming mainstream. The spectrum of possible applications extends to the whole mobility ecosystem, where city planners and researchers, for instance, could as well use these data to run modelling and simulation for capacity and infrastructure needs. 2. (Mobility-related) Peer-to-Peer transactions. Privately owned cars are an extremely underused and inefficient asset in cities today, and this has led to the growth of shared mobility services. Although there are certainly many P2P car-sharing schemes available today that empower owners of cars to rent them to other peers when not using them, blockchain-enabled schemes would eliminate or minimize the need for intermediaries (that is, the companies that operate the marketplaces that facilitate this P2P exchange, and thus get a share of the deal). The inherent security and robustness of blockchain will allow individual car owners, but also fleet managers, to lease their vehicles to trusted and identified riders, with the transactions governed by smart contracts crafted on the go reflecting the terms and conditions agreed by the peers, with completely traceable trips recorded in the blockchain, and automatic payments flowing after each trip. Worth mentioning is Toyota Research Institute, which is partnering with MIT Media Lab and other startups in the blockchain scene, leading the way by developing blockchain apps for car sharing, and extending the focus to multiple other applications, including an open platform for users to control whom to share their driving data with (adding, as an additional example, to the first area of application described in this article), vehicle access and payments, carpooling and Usage-Based Insurance schemes. 3. Autonomous vehicles. Blockchain can support successful deployment of autonomous vehicle fleets serving different use case scenarios, providing the means for on-demand mobility and effective MaaS development to its full potential (I discuss the autonomous driving factor as a key enabler for MaaS consolidation, mainly from a business model perspective, in my last article). EY's Tesseract platform, which is underpinned by blockchain technology, is one of the most ambitious initiatives launched recently in this regard. Blockchain will enable not only shared use, but also shared ownership over fleets of autonomous vehicles deployed in a city. 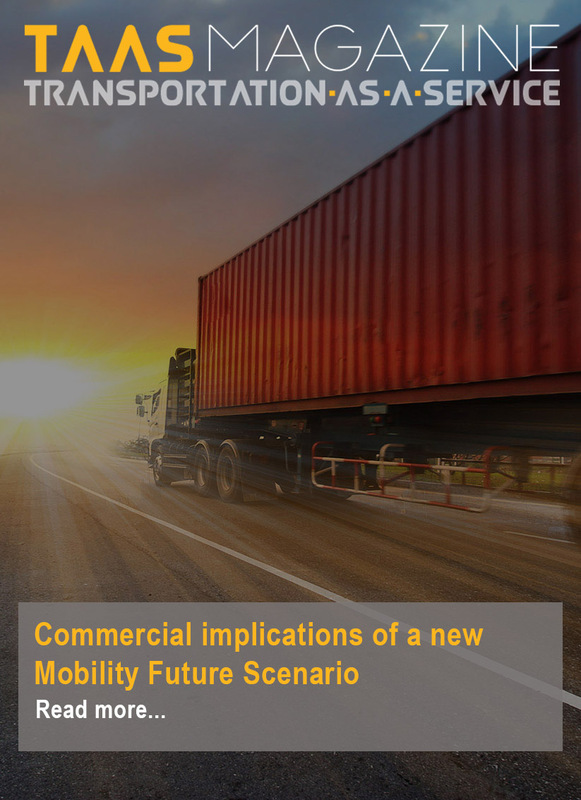 It will facilitate pay-per-use models, and will contribute to optimizing the usage rate of the vehicles, and thus the revenue per vehicle automakers (or any other MSP deploying the fleet) will be able to get. One day vehicles could even be self-owned, running solely on algorithms... Variations are unlimited, or limited only by our imagination. The opportunity to use blockchain to pool data from autonomous cars has been discussed above in this article. But blockchain can as well be used to provide the means for autonomous vehicles to perform activities inherent to being indeed autonomous, such as driving through tolls, refuelling, (wireless) recharging, parking, and ultimately paying for these services through an integrated blockchain-enabled digital wallet, with a distributed ledger of profit and loss statements available to all involved parties to assess, in real-time, the profitability of that fleet. 4. Usage-Based Insurance. Allowing vehicles' sensors to collect driving, telematics data and store them in the blockchain can enable insurance firms to analyse driving behaviour and habits, and therefore offer lower insurance premiums to safe drivers, with a superior level of transparency and security over the whole data sharing process ensured by the blockchain technology. Although Pay-As-You-Go/Pay-As-You-Drive schemes have long been in the market, short-term leasing of cars challenges the "old", traditional, provision of insurance, where insurance coverage is offered over one year periods of time. Blockchain will allow individual and fleet vehicle owners to lease their vehicles to trusted and identified riders with simple, straightforward smart contracts set on spot, setting the terms of very short rental periods, in a range of minutes (no longer, a middleman clerk sitting at an office desk, asking you long questionnaires, filling in a form with your answers, finally issuing an insurance contract). - Block...what? For a new technology to go mainstream it must be widely-known, stakeholders must understand what lies behind this technology, at least the foundations of it, what it's good for, the kind of issues it can tackle, allegedly in a more efficient way than with other existing technologies or approaches. Yet, blockchain needs to be embraced by a much wider spectrum of players in the transport and mobility arena, expanding the adopters base much beyond early enthusiasts, researchers, academia, pure technologists, consultants and other believers (as myself). - Developers missing. This is a consequence of, and links with my concern before: with every new technology blooming, those embracing it and starting to build stuff (or thinking of building stuff) face the same hurdle: there is lack of technical expertise in the market. It occurred when mobile apps started to become popular, it does happen today with the lack of skilled data analysts, and it will be the same with blockchain. If you are to start a new blockchain project tomorrow, get prepared to have a hard time to find good developers. - Not "real" MaaS unless public transport is included. There is little debate on that public transport must be the backbone of "real" MaaS. Blockchain can support better and more efficient public transport. Blockchain could, for example, support contactless payment systems for public transport, contributing to enable a seamless, easy to use multimodal mobility, solving one of the main pains with MaaS, both from the users and operators perspective: the payment process. The fact is, however, that not yet public transport authorities and operators are choosing, or even considering blockchain (apart from some isolated experiment, and this links with the lack of wide adoption I mention in the first bullet point). Moreover, while leveraging blockchain might be reasonably straightforward (and easy to justify, for example to investors) for nimble startups building decentralized applications from scratch, upgrading to blockchain for public transport well-established legacy systems is far more challenging. - Flying cars, etc. Futurists, bloggers, technology analysts, consultants and the like (myself included, I have to admit) are generating a lot of buzz around how future mobility will look like. While much of this analysis and expert debate is absolutely needed, and does include a number of (disruptive) innovations that are truly coming to stay (such as MaaS! ), also quite some content being generated is baseless buzz, or mere "predictions" deserving more certainty. For instance, I recently enjoyed reading this article: "We need to stop pretending that the autonomous car is imminent". Same with blockchain? My glass ball has no clue. With blockchain we're entering an unchartered territory, and so it's hard to predict which apps will make it and which ones will fail. It's going to be exciting times to follow up with first movers' initiatives that leverage blockchain to develop mobility services that are focused on providing more individualised, customer-centric and efficient mobility services. Blockchain truly has the potential to help MaaS thrive. But real life implementations are still in its infancy, so we will have to take the leap of faith, wait and see... for the next tech hype to come. Hello, blockchain. What's next? Josep Laborda thinks mobility outside the box @ RACC Automobile Club and CARNET Barcelona. Mobility not black and white: want both taxi and Uber in my app. He writes fiction, besides technical stuff. Future mobility often sounds like sci-fi, which is great. He loves wine, human towers and photography (not necessarily in that order). More on him: check @josik35 at Twitter and Instagram or his website: http://www.joseplaborda.com. Grown-up, views are his own.